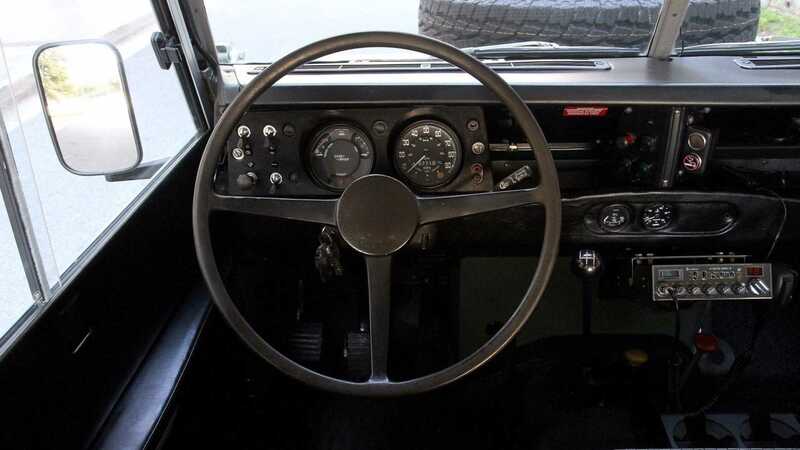 In a world dictated by technology, and where we remain free to do only as we are told, this 1973 Land Rover Series III offers an escape from touchscreen trackers, WiFi connectivity, and selling your life for $7.25 per hour. 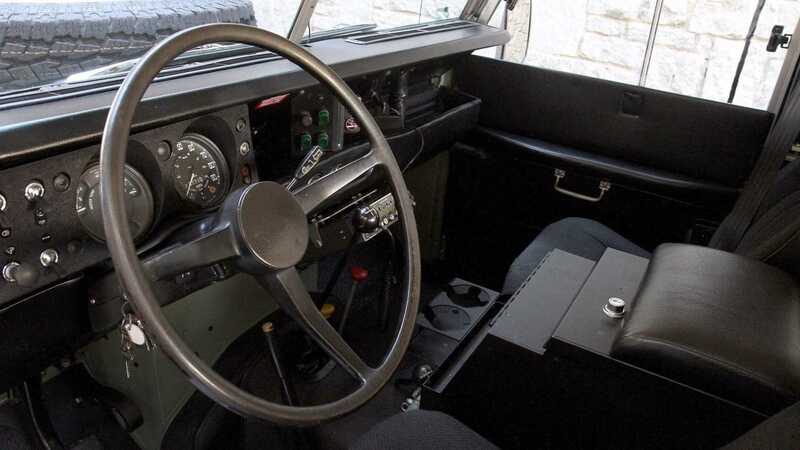 While capitalism worships pieces of green paper and wall-mounted clocks, you can escape the monotonous office world and venture into the wild with utmost confidence behind the wheel of a Land Rover. Devoid of keyless entry and electronic immobilizers, it’s just you and machine – taking on the world. 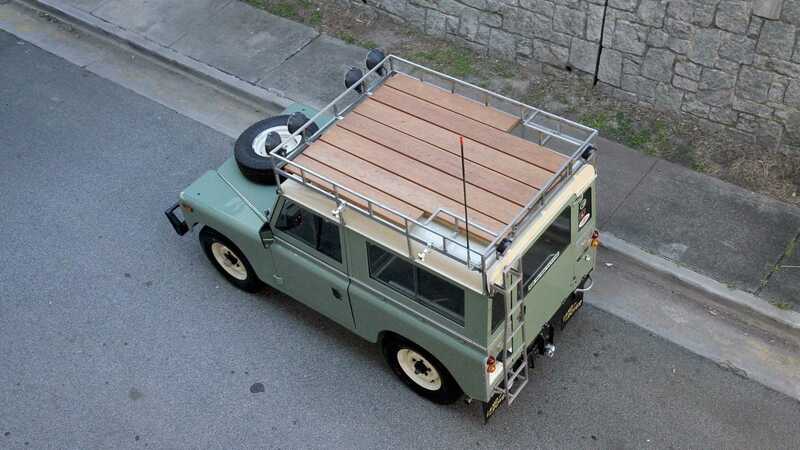 Lakeside campfires, mountainous expeditions, and all manner of off-road activities await you. Oozing the utilitarian romanticism of a well-travelled pioneer, this example is offered on behalf of its’ late, long-term owner’s estate. 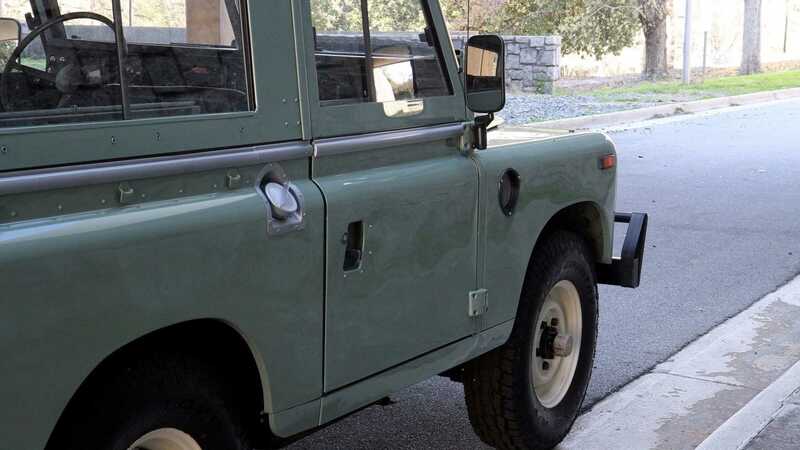 Purchased in good original condition back in 1994, and with 68k on the odometer, the Land Rover has since been treated to a painstakingly detailed restoration and is now ‘better than new’. Currently showing some 88,000 miles on the clock, evidence points to only three previous owners in total. 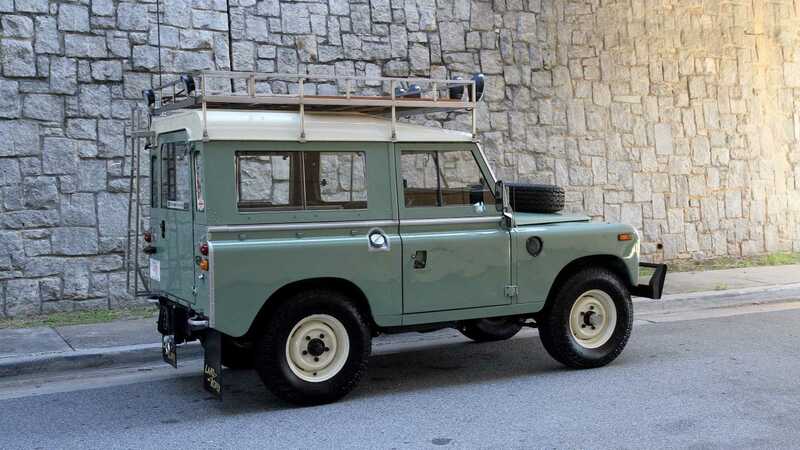 Restoration aspects include a new galvanized chassis, rebuilt gearbox, rebuilt engine, performance headers, stainless exhaust, Weber carburetor, rebuilt suspension, recalibrated brakes, and a fresh wiring loom. 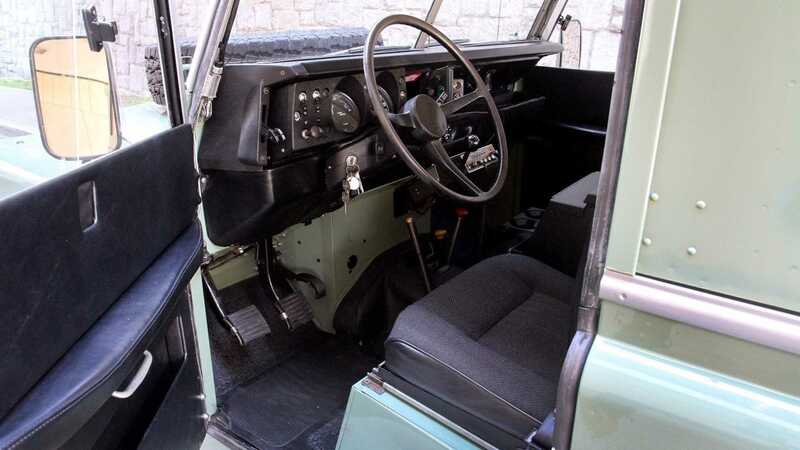 The cabin has been installed with new seats and a locking Tuffy console with stereo, whereas those infamous ‘flapping’ door tops (renowned for wavering at speed beyond 50mph) have been replaced with Rocky Mountain side curtains. 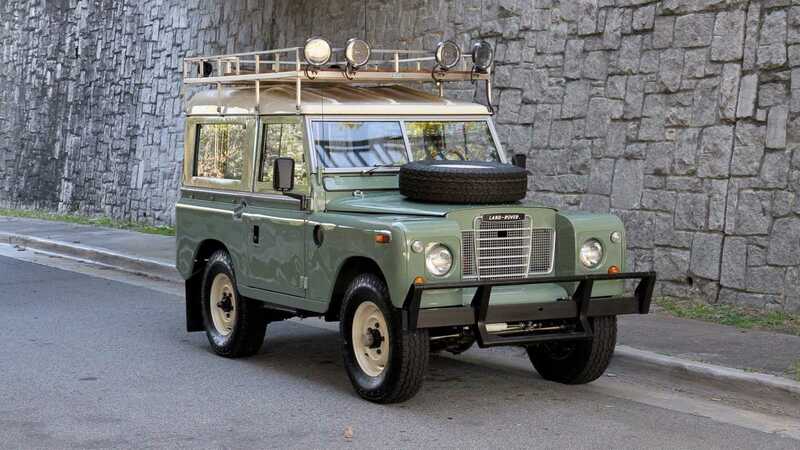 For the proper adventurer’s stance, the Series III comes with a fitted Rovers North roof rack and Hella lighting, alongside a fierce, custom front bumper. It’s unlikely that any enraged Mountain Lion – or wife – would stand a chance against that baby. 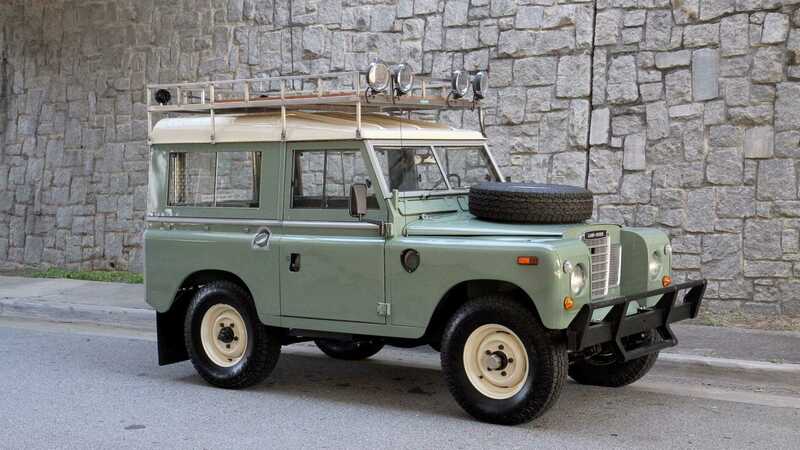 Further to this exhaustive options list, the 4x4 also sports a Superwinch overdrive and upgraded heater. 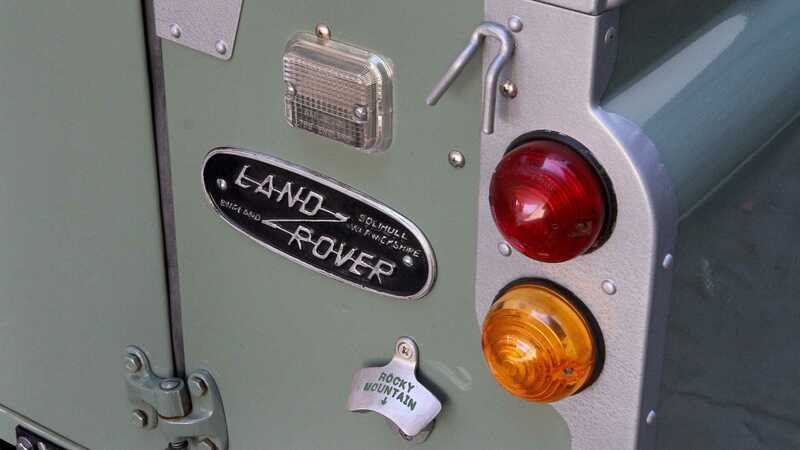 Warmth is no longer aspirational, something of which remains notorious from Land Rovers of old. 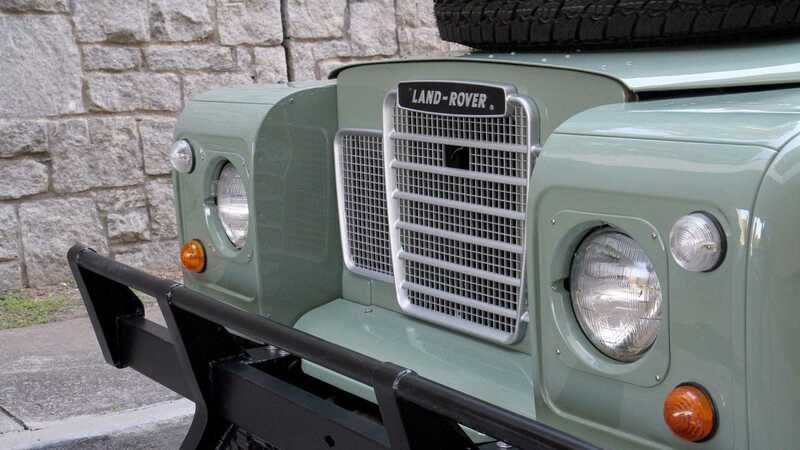 Paint and body have been completed to a high standard, finished in the correct shade of pastel green. 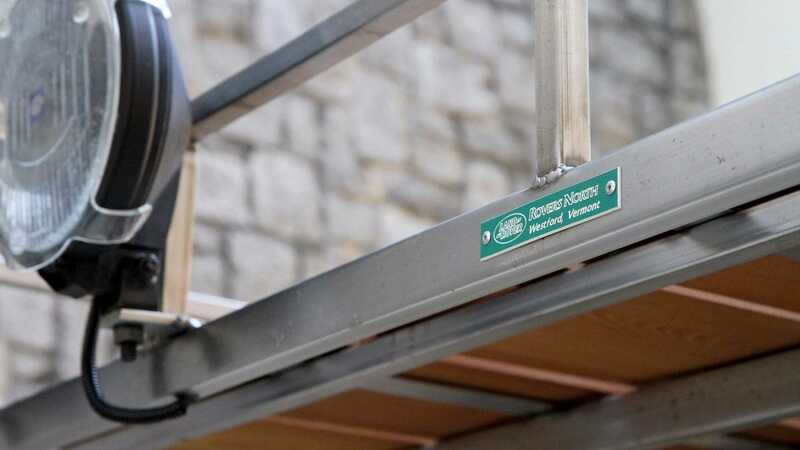 Virtually every nut, bolt, rubber strip and trim piece has been replaced or restored. 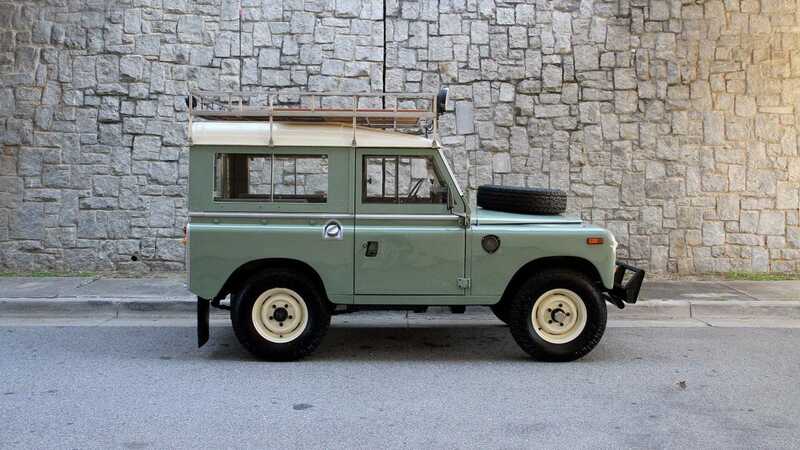 Of all the old-school Landys we’ve recently found, this specimen stands out above the rest. 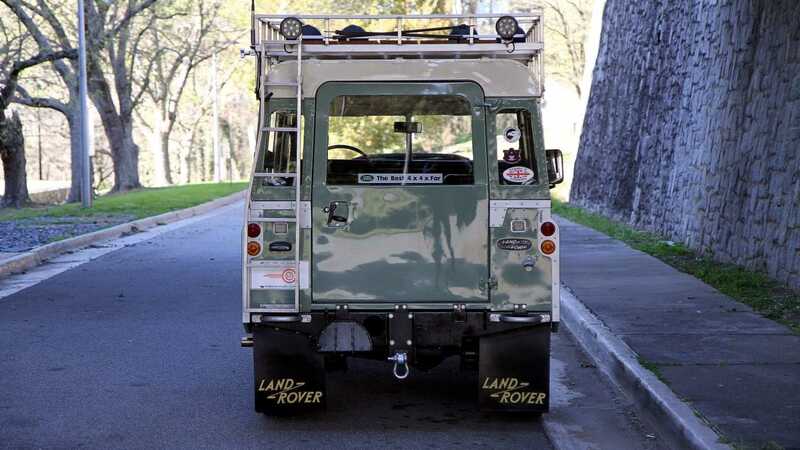 As an added bonus, the refinished wheels proudly wear new all-terrain tires with a matching hood-mounted spare. Stacks of photographs and ownership documents come with the off-roader, along with a 1992 title. 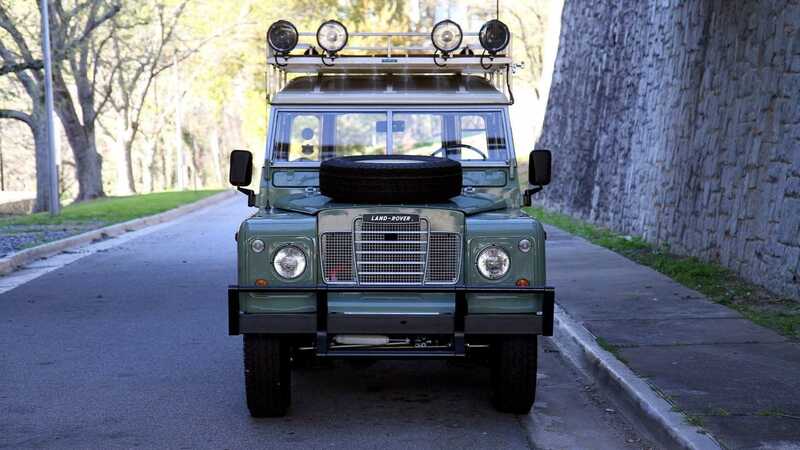 This British truck was its owner’s pride and joy for more than two decades, and was treated as such. 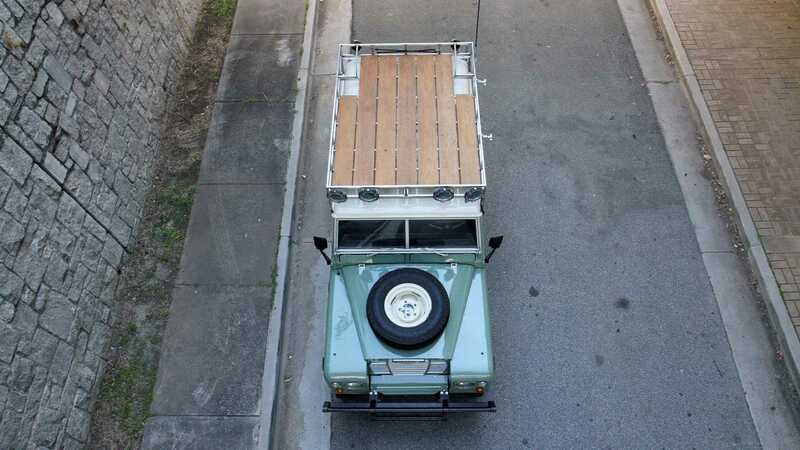 Boasting such incredible condition and ready to tackle either the Rubicon Trail or the urban jungle, are you sympathetic enough to become this charismatic 4x4’s new caretaker? 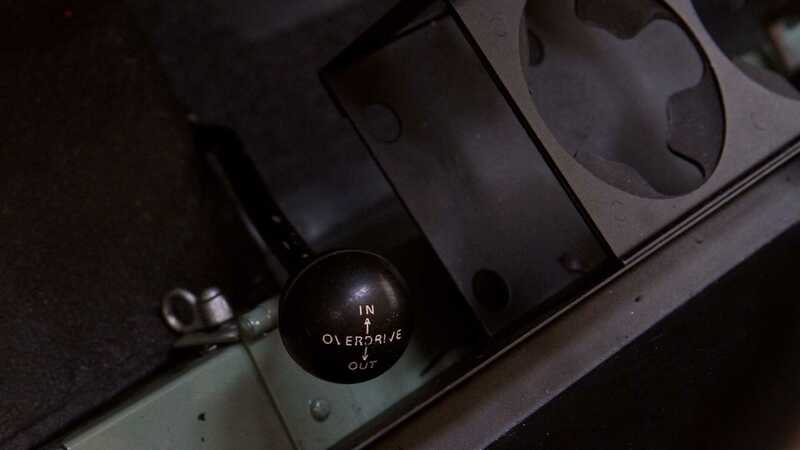 More to the point, housing a DIY-friendly engine and serious lack of anything remotely modern to hamper your freedom, this is your ticket back in time to a less technologically dependent era.